Dear lightworkers, dear human on Earth! 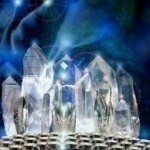 In connection with the portal 11-11-11 now being completely open the energies in your world are very strongly confusing for you. Everything and everybody are impacted when the light powerfully roams and pulls off the veils, which extinguishes the old dark. Your world has been covered with large energy veils – Veils that have like blankets cover the truth that now is to come forward. The veils have covered the loving truth and you have lived in an illusion. These veils are not parted and a new more loving truth emerges for you. That which was your truth yesterday is suddenly no longer your truth. You suddenly feel a love for yourself and a lust to be in your own energy. However, when the veils are lifting and the energies are raised you can also see how the illusion impacts you in your old life. You have a few truths presented to you that make you upset. You see how you up to now have lived a life where you been led astray by other’s energies, since you have taken it into your own. You see how you have been manipulated, directed and controlled. You see that other people have learned to influence you with their energy in order to get you to do things for them that you according to your own energy did not want to do. You see that you have not been free. You see that you have not been able to live the life that you had dreamt about and you see how the influence from other’s energies has taken you away from yourselves. You see that you occupied yourself worrying about others who you have felt have been adrift. You see that you have spent time, energy and feelings on helping others that you have felt needed help to change their lives, but you now see that they have not wanted or ever intended to receive the help to change. They have just wanted to get your energy. Now it emerges suddenly that these people have not wanted to change as their plan has been to be exactly as they have been and are – that it has completely been in order according to their own soul’s agenda that they have been as they have been and maybe still are. You see that you cannot and were not to save anybody from what you believe was danger and you see how much effort you have spent on helping. What is most taxing on you now is to see how you have taken in other people’s energy into you and let it influence yourself. It has stopped you from being that which you now are beginning feel that you are and it makes you very angry, sad and disappointed. You have wanted to help and you have done everything to “save” other’s lives and you now see that the only thing it has let to is that you have not created your own life. It becomes clear to you that no human has been a victim really. It becomes clear to you that other people have chosen their experiences of low frequency departing from their own souls. It becomes clear that you have to assume responsibility for your own energy and let other people take responsibility for theirs. You all have a soul behind you. You have all made different choices, when you came here and this makes you emotionally upset right now. However, in truth you are now finally on your way into the light for real. These revelations have in truth not been able to emerge until now, as the energies on Earth have not earlier permitted it. In truth you can now let go of all your reactions to what you see now. You knew when you came here that you made a choice of a life on Earth that would entail low frequencies to start with and that the gradual lifting up of energies would reveal the truth for you. You have just like everybody else made a plan for when you came here where you decided that you would help others in spite of the fact that they really did not need help. You have, during the old era, lived in a low energy where you felt must satisfied from this helping of others and it has done you good where you were right then. 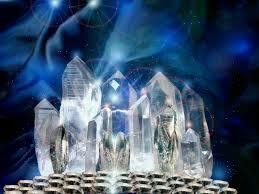 You have played the exact role that you have had in the third dimensional energy. If you had not done that chaos would have resulted and the balance would be shifted. You can let go of all anger and ire and sorrow that you feel right now. It is the shift, revelations, that you right now are witnessing and it is this that make you upset. You have made a long journey in the old era and this transformation is very taxing for you. You are right now very tired, but will soon regain your energy of joy when the shift and the great disclosures are ready for this time. Already during next week some of you will experience more energy to live your new and wonderful lives. You will find it easy to shut out other’s energies from your own and they will no longer be able to use you as they please. Everything is in order. Life on Earth will enter into a new phase for you. You will regain your power and let go of other’s energies. You will start to plan for your own lives and just feel your own feelings. You will find it easy to be loving and empathetic towards others and you will be able to help them in a way that not at all impacts your own power and energy. You will experience life as more stimulating and fun since you start to live your own life as a Human in your own energy. You will experience joy from being who you are in the New Era. Your new roll in the New Era is equally important as a helper in the old Era. Everything is perfectly planned by yourselves for yourselves. You are lightworkers on Earth. Your work now enters into a new phase. Put your hands on your heart and ask yourselves what the heart wants you to create in the New Era. What is it that your heart wants to experience? You will create a fantastic life for yourselves. You will let go of others and love them in a way that you have not been able to love them before. Remain in your love, remain in your light, create Your Life.